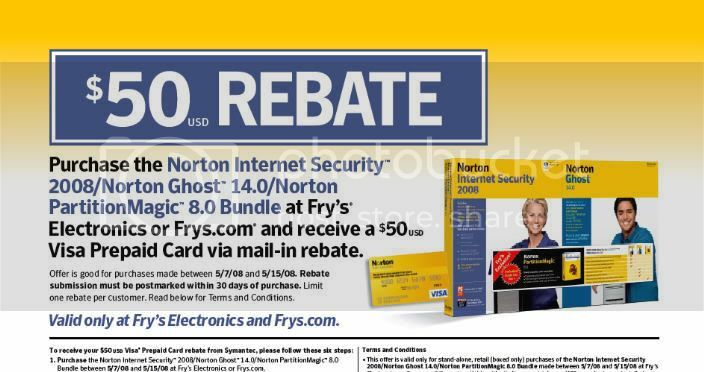 CLICK HERE to view the offer of NORTON GHOST 14 HIGHLY-DISCOUNTED after Mail-In Rebates. CLICK HERE to download the $30 USD MIR form specific to Fry’s Electronics and Frys.com. CLICK HERE to download the $20 USD upgrade MIR form specific to Fry’s Electronics and Frys.com. CLICK HERE to view the offer of a FREE SYMANTEC BUNDLE after Mail-In Rebates. CLICK HERE to download the $50 USD MIR form specific to Fry’s Electronics and Frys.com. Although not clearly stated on the exterior of the box, in the enclosed documentation within, nor on the CD itself my experience to date during several installs of Norton Internet Security 2008 (from both stand-alone versions and from bundled versions) is that this particular Norton consumer product is a '3-pack', i.e., it can be installed on three PCs in the same household. CLICK HERE to view the offer of a HIGHLY-DISCOUNTED SYMANTEC BUNDLE after Mail-In Rebates. I just received my shipment of this great deal. Thank you to the poster. CLICK HERE to view the offer of NORTON GHOST 14 for FREE after Mail-In Rebates. Free shipping. Purchase price refunded via 2 rebates. If you order from outside CA, do they charge state sales tax? free shipping, free after rebate. Through 10Sep09. 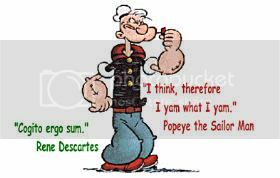 again, free shipping, free after rebate.